The bearing capacity of shear stud connectors from the simplified design equations in different building codes tends to be underestimated because of a relatively large safety factor. Finite element analysis using ABAQUS was carried out to simulate the force–deformation response of shear stud. The finite element model was verified by using push-out tests, and detailed parametric numerical studies were conducted to investigate the force–deformation response of different shear stud configurations. A new design equation was derived from linear regression based on the results of the parametric studies. The presented equation shows better agreement with the experimental data. 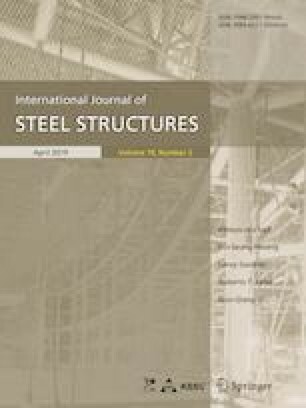 Detailed comparison between the proposed equation and existing design equation in China code for shear stud strength was carried out. The results show significant reduction in the construction cost when the new equation is used.